The Kids Cook Real Food eCourse made all the difference for my son Malachi. He became much more interested in learning to cook – and then learn he did!! 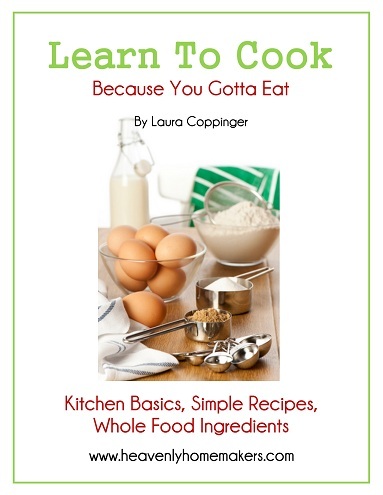 I also recommend you grab a couple of our resources here: Learn to Cook and Teaching Your Kids to Cook books. 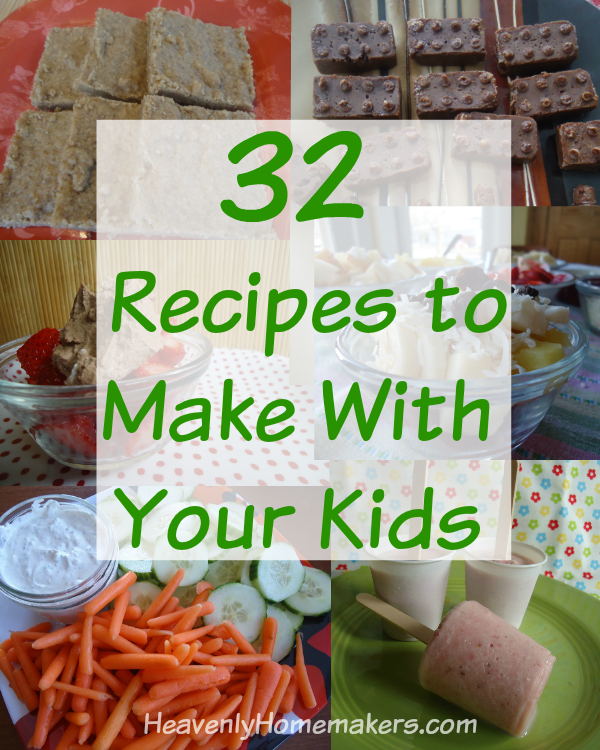 Together, they offer 222 pages of activities, instruction, lessons, and recipes! Now that my kids are older, there are days I turn the kitchen over to them completely. They can make a meal from start to finish. How great for all of us! 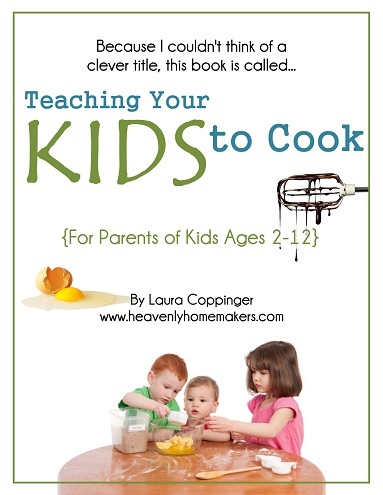 Do your kids enjoy cooking? Is this available only for those that purchase now or is it available to those of us that purchased Katie’s course in January too? Just curious. Even if I can’t–thank you for making it available to others. Can you email me (laura@heavenlyhomemakers.com) to let me know the name you purchased under, please?